Welcome! I am Tuan Nguyen, Co-Founder and Editor-in-Chief of the Boston Global Forum. I am very honored to introduce Professor Robert Desimone. Robert Desimone is the director of the McGovern Institute and the Doris and Don Berkey Professor in the Department of Brain and Cognitive Sciences at MIT and a member of the Boston Global Forum’s Board of Thinkers. Prior to joining the McGovern Institute in 2004, he was director of the Intramural Research Program at the National Institutes of Mental Health, the largest mental health research center in the world. He is a member of the National Academy of Sciences and the American Academy of Arts and Sciences and a recipient of numerous awards, including the Troland Prize of the National Academy of Sciences, and the Golden Brain Award of the Minerva Foundation. Governor Michael Dukakis, Chairman of Boston Global Forum visited the McGovern Institute on December 12, 2013. He is very impressed and has a high respect for the achievements of the McGovern Institute and Professor Robert Desimone. He and Kitty Dukakis will visit the Institute again in late April 2014. Today Chairman Michael Dukakis and Kitty Dukakis are in Los Angeles, they send their warmest regards to Professor Robert Desimone and the McGovern Institute for Brain Research. Boston Global Forum will recognize and honor the McGovern Institute’s research achievements and Edward M. Scolnick Prize in Neuroscience in the Boston Global Archive, and at a later stage BGF will add it to the Boston Global Museum, an initiative we are working on for the future. Today, We are honored to present to you Professor Robert Desimone on the BGF Leader Series. 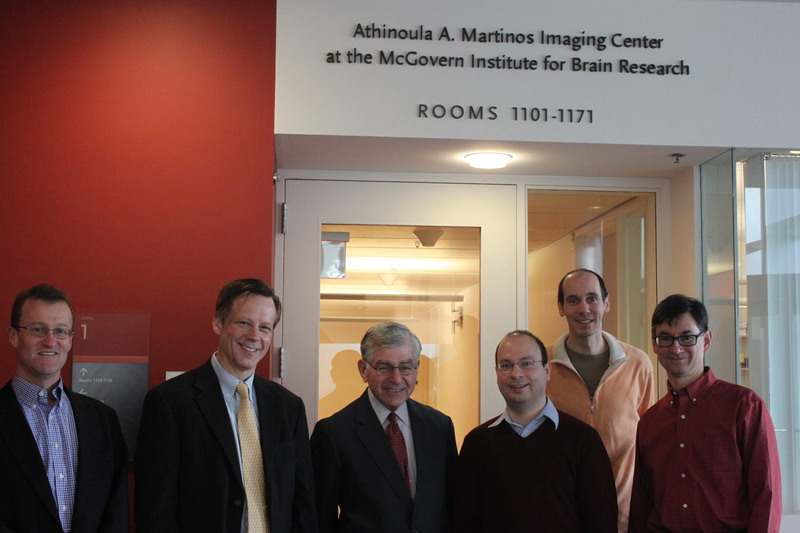 Chairman Michael Dukakis visiting with researchers from the McGovern Institute at MIT, and the McGovern Institute’s Director, Professor Robert Desimone. 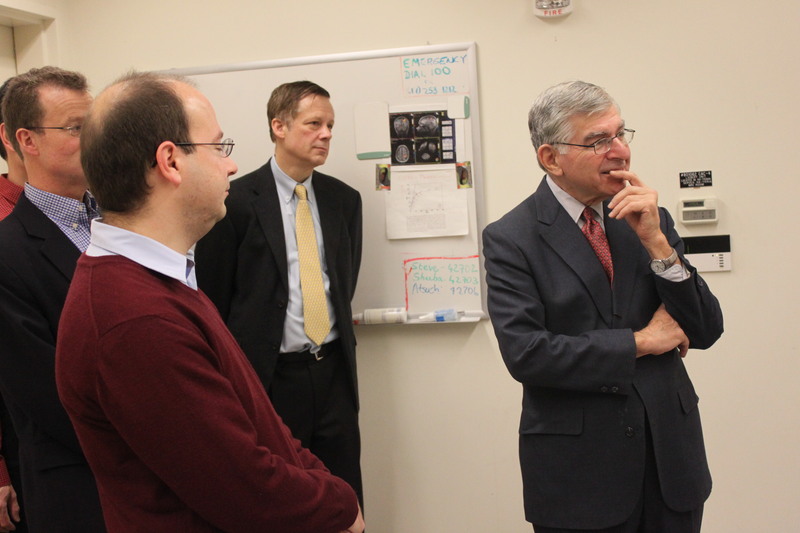 Chairman Michael Dukakis learning more about the McGovern Institute’s groundbreaking research. 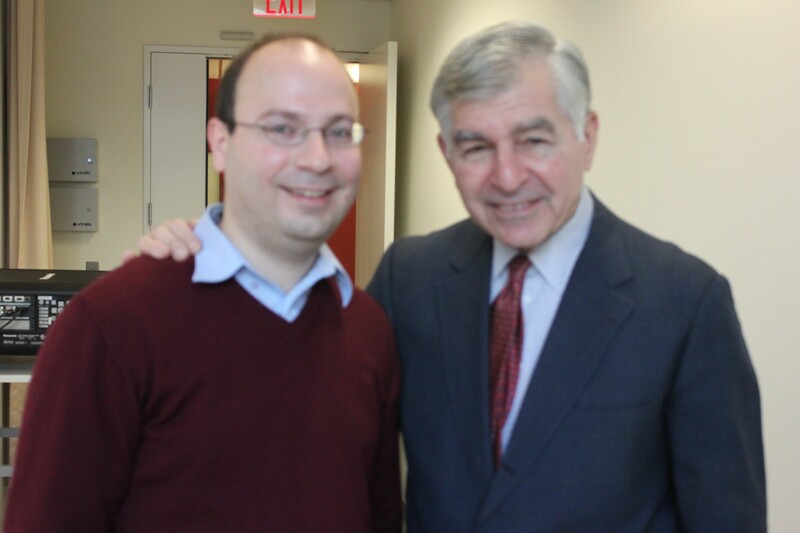 Chairman Dukakis meeting with a researcher from the McGovern Institute.